Pierre Sirinelli is a Private Law and Criminal Science Professor at the University of Paris-1 (Panthéon-Sorbonne) and Honorary Dean of the Jean Monnet Faculty. He is the Director of the “Law, Economy and Audiovisual Management” Research Master and the “Digital Creation Law” Research Master at the Paris 1 and Paris 11 Universities. He founded the Center for Research and Studies on Immaterial Law (CERDI), and currently do-directs it. He is also the Director of the French Institute for Communication. 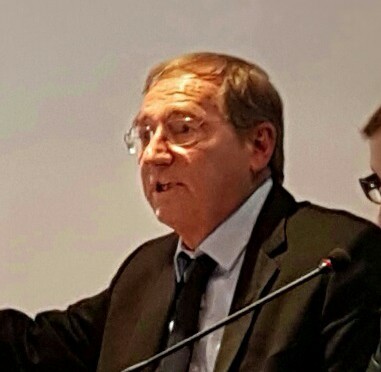 Pierre Sirinelli is a member of the Higher Council for Literary and Artistic Property (French Culture Ministry), as well as the National Counterfeit Committee (French industry Ministry). He directs the magazine Lamy Droit des Médias et de la Communication, authored a Mémento Dalloz on literary and artistic property, as well as regular pieces for the Revue International du Droit d’Auteur and the Recueil Dalloz. He also co-authored a comparative law dictionary (published by CNRS) and the Dalloz Code of Intellectual Property. In 1985, Pierre Sirinelli defended his thesis called “the moral right of authors and the common law of contracts”. He presides the French chapter of ALAI (AFPIDA) and is Vice-President of ALAI. He has authored numerous reports for the Ministries of Culture, Industry and Digital Economy. In October 2014, he wrote the “Report on the mission of reviewing the 2001/29/EC Directive on the harmonisation of certain aspects of authors right and neighbouring rights in the information society”.